AMD is preparing their next generation Tonga GPU for launch and Sweclockers has just revealed a bunch of information regarding the naming scheme of the card itself. The new Tonga GPU based card will be known as Radeon R9 285 and will replace the aged Tahiti core which has almost spanned a good three years lifetime. We have known Tonga for a while as it was one of the names which appeared in Catalyst files dating back to AMD’s GPU ’14 press event. The GPU which was actually supposed to be a part of AMD’s current Volcanic Islands R9 200 series line was pushed back in AMD’s GPU roadmap since AMD preferred rebranding almost half of their products for the new lineup. AMD went ahead to rebrand the Pitcairn, Cape Verde and Tahiti chips into the R9 200 series cards we know today that come at amazing value but feature the exact same specifications from two years ago. Well, the time for their retirement is coming close as AMD is one the verge of launching their successors. While Tahiti is generally replaced by its successor Hawaii, it is still a part of the current R9 200 series line as a performance part rather than the high-end product. 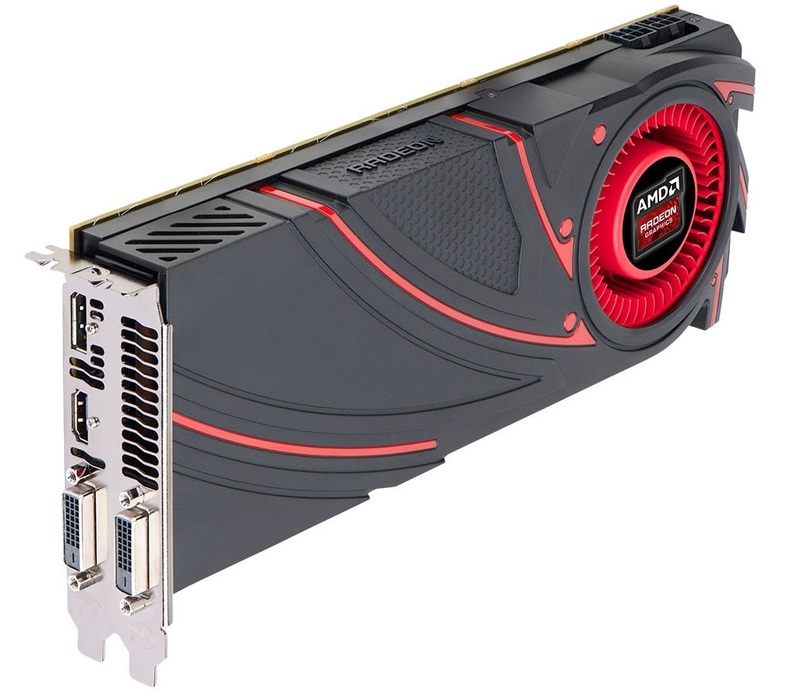 AMD’s Tonga GPU which will feature the Radeon R9 285 branding will replace the Tahiti core but Tahiti will cease to exist until the launch of AMD’s next generation graphics lineup “R9 300” series since two cards, the Radeon R9 280X and Radeon R9 280 are based on Tahiti XT and Tahiti Pro GPUs and AMD has no plans to launch a product in this price market. The Radeon R9 285 will be price in the $300 US range which means that Tahiti based cards will be receiving a major price cut as hinted previously to make room for the new cards otherwise having both Tahiti XT and Tonga at the same price will mean poor sales for the inferior product of the two. The card will launch in Q3 2014 and the exact date is pitted somewhere between late August and Early September but it is definitely coming out soon and we will start receiving more information in the coming weeks. The specifications for the card include a 2 GB GDDR5 buffer running across a 256-bit bus interface. This is actually lower than Tahiti’s 3 GB GDDR5 VRAM and 384-bit bus but Tonga is rumored to include faster 7 GHz memory modules which will result in higher bandiwdth and card makers will have the option to launch 4 GB models later in production. The card will be built on a new architecture which is presumably the GCN 2.0 design and not the GCN 1.1 architecture which has been featured on Bonaire and Hawaii. The Tonga graphics architecture will be built on the 28nm node from TSMC (if rumors are to be believed) and would feature a new design scheme introducing latest architectural improvements such as new ACE (Asynchronous Compute Engine) Units and more focus towards compute shaders. It is also mentioned that Tonga will retain the basic technologies of the Radeon lineup such as Mantle, TrueAudio and XDMA for CrossFire support. Performance efficiency would be a main focus of the new card and the ratings could be expected somewhat similar to Maxwell if not the same. It should also be noted that the Radeon R9 285 leaves room for another variant codenamed as the Radeon R9 285X. The Radeon R9 285 could be featuring the Tonga Pro GPU just like Tahiti Pro while the fully enabled Tonga XT die will be featured in the Radeon R9 285X variant. The actual launch of the other variant is not known nor do we know whether such a model exists or not but given AMD’s past GPU scheme, we believe that AMD will have two variants of Tonga.